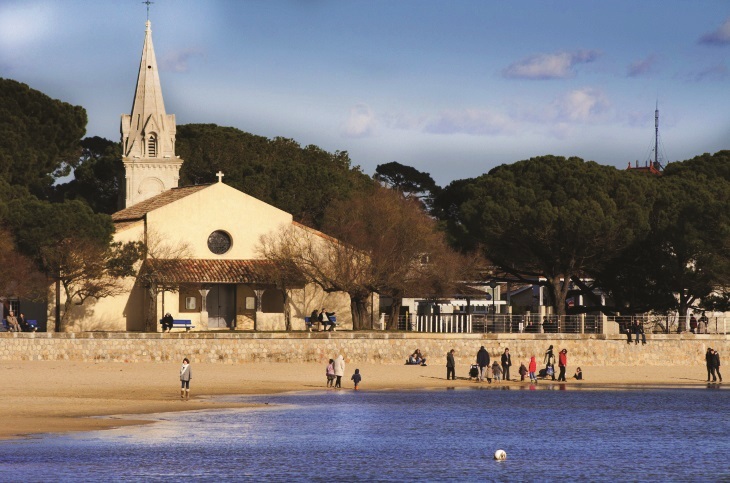 More of a seaside resort than a village, pre-historic Andernos-les-Bains sits on the banks of the world famous Arcachon Bay. Swimming (there’s a clue in the name), a sandy beach, sunbathing and oysters simply sum it up. With one of the longest piers in France at 230 metres giving an unrivalled view of the bay, it combines modern day sophistication with 19th century villas, Gallo-Roman architecture and gourmet food. Why not take in a visit to the oyster museum or pick up a few fresh oysters at the oyster farm? If you haven’t tried them before and want to give it a go, you can even have a free tasting. For those who want a bit more of a buzz, there is also a casino! Urval, for instance, is a tiny yet quintessential village sitting between the D25 and D710 near Siorac-en-Périgord in Dordogne. 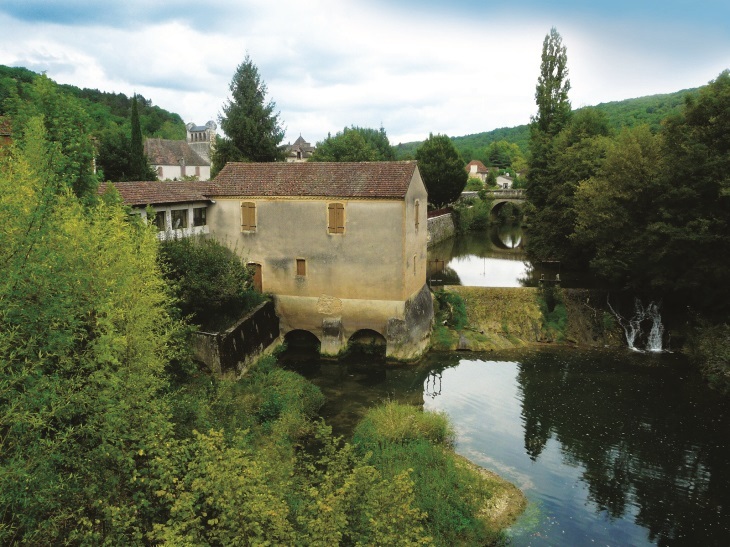 Full of Périgourdine style houses, a stream with swans-a-swimming, a mill and a picturesque 15th century Chateau and gardens, it also boasts the “four banale”. Interestingly, this 14th century communal bread oven also incorporates accommodation for the “Fournier”, the oven’s caretaker. No self-respecting oven would be complete without a fascinating pigeonnier (from where it is said the pigeon droppings gave the bread its flavour – we hope they at least dusted it on rather than incorporated it into the flour) and the wooden version in Urval is no exception. Prayssas in Lot et Garonne is a surprising little village. Approached by 12km of steeply winding roads from Agen, it has a pretty central square and its own fruit processing plant. With tiny medieval streets and a lively night market throughout the summer, it is a great place to join in the fun with its friendly inhabitants. In between your dancing, be sure to try out the local butcher’s meat, his son lives in Devon and has educated him on the delights of a “proper cut of pork with crackling”. The 11th century Saint Jean Baptiste church is a historic monument with a beautiful clock tower and arched cloisters, as is the 16th century Maison du Goulet. 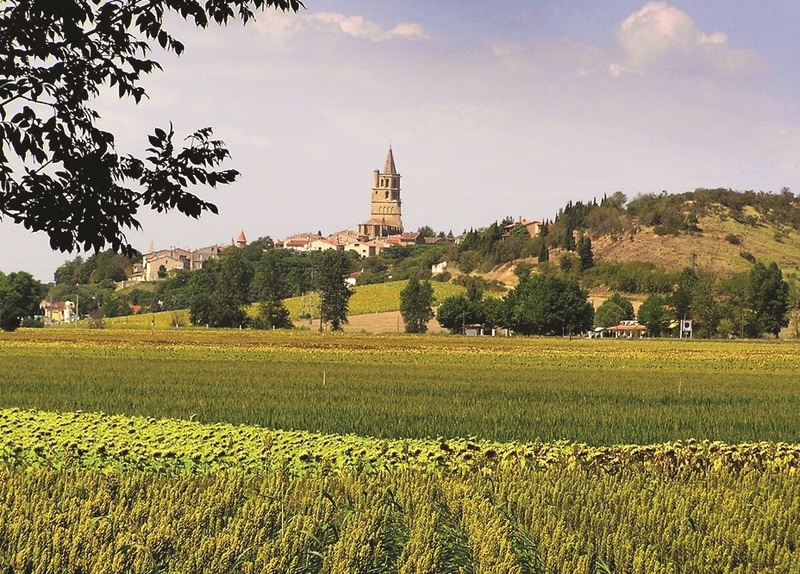 Situated between Cahors and Fumel, Castelfranc is one of many fortified villages sitting on the limestone plateaux (Causses) that form the valleys of the Lot in Occitanie. Originating from pre-historic Gallo-Roman times, it was chosen by the Bishop of Cahors in the late 13th century as his home, for good reason. 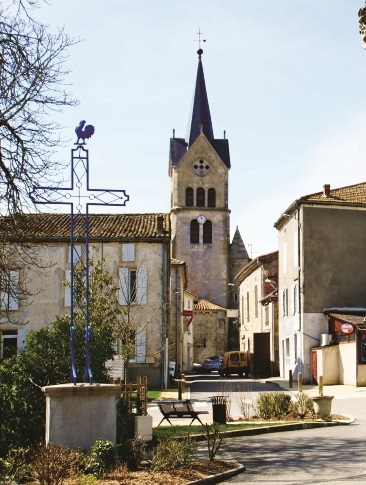 Complete with a pretty weir and pleasant walks along the river’s edge, this historic village features many medieval houses and a Monument Historique in the form of the Eglise Notre Dame de l’Assomption church with a strange, flat-looking bell tower. It is now also home to Le Jardin des Sens, a park and fragrant, ornamental garden inspired by the medieval period and designed to reflect the checkerboard effect of the village itself. 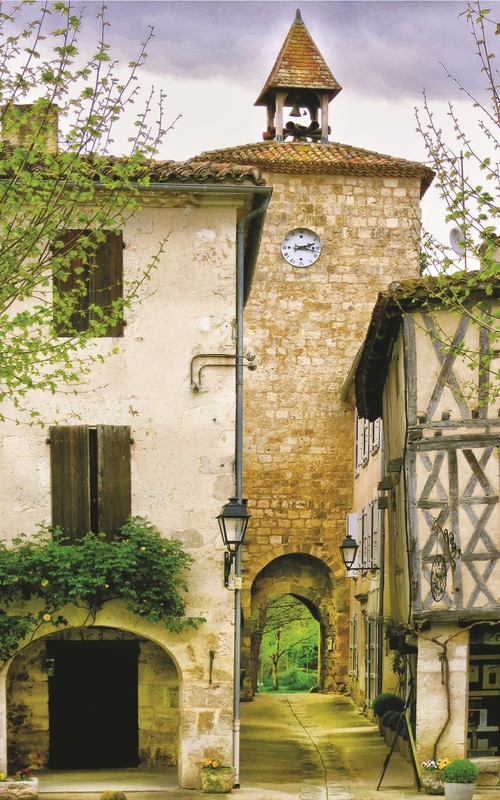 Recognised as one of the most beautiful villages in France, Fourcès in Gers has to be on our list of favourites to visit. Colombage and stone medieval houses, a beautiful 15th century bridge and a church from the middle ages are just some of its attractions. One of its most surprising features is the fact that, although it is a bastide town which are usually formed on a grid pattern, Fourcès is round in design. The “town square” is stunning with its old arcaded buildings and London Plane trees at its centre. Some of these buildings still hold the marks left by builders from centuries ago. Sitting above one of the original entrance gates is a 13th century stone clock tower. From here you can see the ancient castle and its high, fortified walls next to the Auzoue River. If you have entered a walled village via a stone entrance called Porte Genebrière and find yourself mixing with Parisotins, you have found the fortified village of Parisot in Tarn et Garonne. Take a stroll to the 14th century village church of Saint Andeol and, opposite, a lovely colombage house. As with most of the properties in the village, these are exceptionally well-maintained and beautifully restored. These include the Chateau of Cornusson, clearly identifiable by its’ square tower, and the 14th century stone columned market hall. 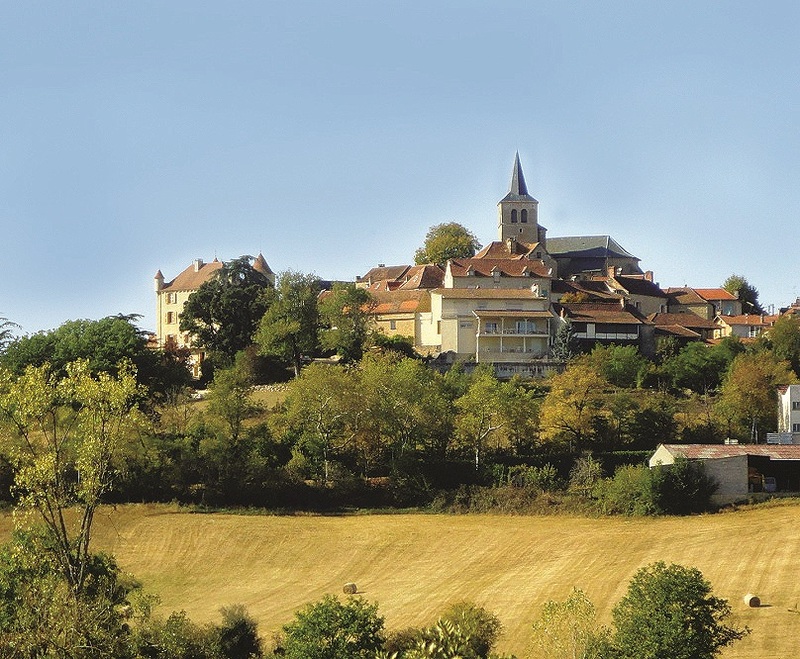 From the highest point in the village, take a moment to enjoy the stunning views over the nearby Parisot Lake and across the Tarn et Garonne countryside. Somewhat surprisingly, Parisot is twinned with Great Hucklow, a similarly sized village in the Derbyshire Peak District in England. At just 38km from Toulouse, Avignonet-Lauragais borders the Canal du Midi and is the perfect place to hire a boat for a leisurely trip on calm waters, away from the hubbub of the city. En route from the north, you will undoubtedly be struck by the sight of the wind farm with its gigantic wind turbines. Whilst modern technology may be nearby, the village is true to its roots. The 14th century church with its gilded wood altar is home to a painting of the Inquisitors being killed and welcomed into heaven (following the massacre at the original chateau owned by the Count of Toulouse). Today the village still boasts the grand houses built by merchants from the days of the lucrative pastel trade and its 15th century pepper pot designed tower still stands at the previously draw-bridged entrance. 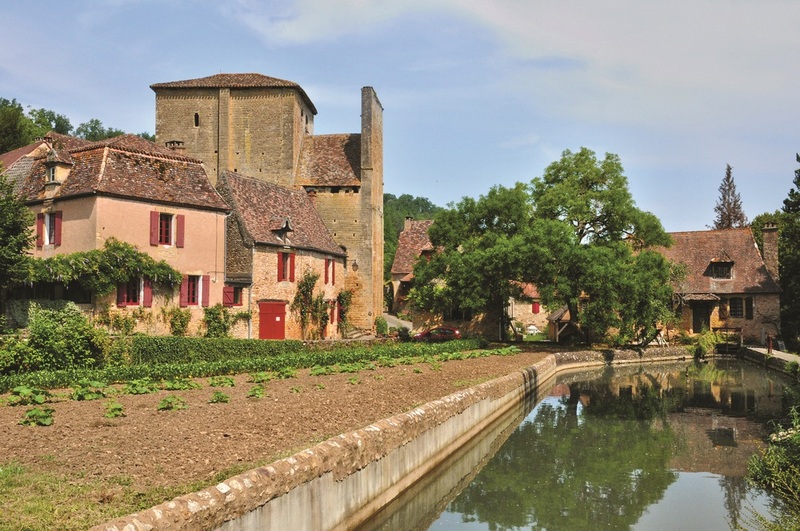 Our Area Information pages include interesting places to visit throughout Gironde, Dordogne, Lot et Garonne, Lot, Gers, Tarn et Garonne and north Haute Garonne. You will also find museums, chateaux, ideas for day trips and days out for children in our business directory pages under Entertainment and the Arts and Travel and Tourism. First published in the July/August 2018 issue of The Local Buzz.